Why not come and walk with our lovely alpacas. Walking with alpacas is great fun and we hope to make it both enjoyable and informative. 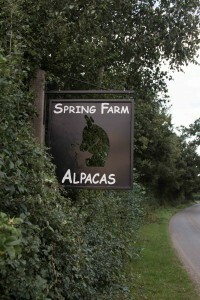 All of our alpacas are halter trained and whilst here at Spring Farm you will get to meet some of them. All alpacas have their own personalities and come in an amazing 22 different colours (or perhaps more accurately – shades). We will introduce you to our walking team and to other groups of alpacas (and llamas) whilst you are here – including our mums and babies group (27 babies in 2018). For 2019, we are expecting 26 baby alpacas and one baby llama. 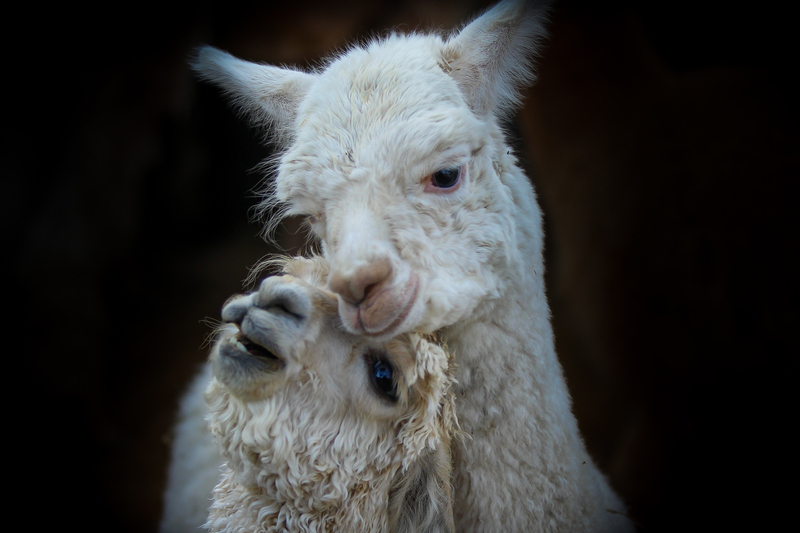 Baby alpacas and llamas are called cria and the birthing period is mid May to the beginning of August. We will also tell you all about alpacas, where they came from, and their daily routines. 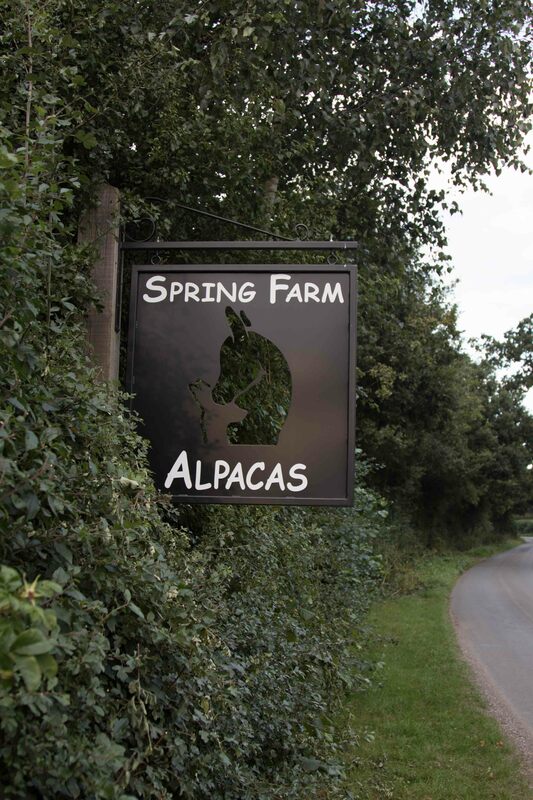 As we are a farm in Higher Level Stewardship, we also pride ourselves on our farm’s biodiversity and will endeavour to make your walk with our alpacas a veritable “safari” and hopefully you will get to spot some of our other resident British wildlife. Even if not, we can tell you some of the sights you might see “next time” and lastly some of the history of the High Weald and its AONB (Area of Outstanding Natural Beauty). We also take photos of the group walk which we send to you as a momento of your time with us (no charge) via the email address you gave us at the time of booking. £30 to walk an alpaca (including VAT). £15 per accompanying person not walking an alpaca (including VAT). 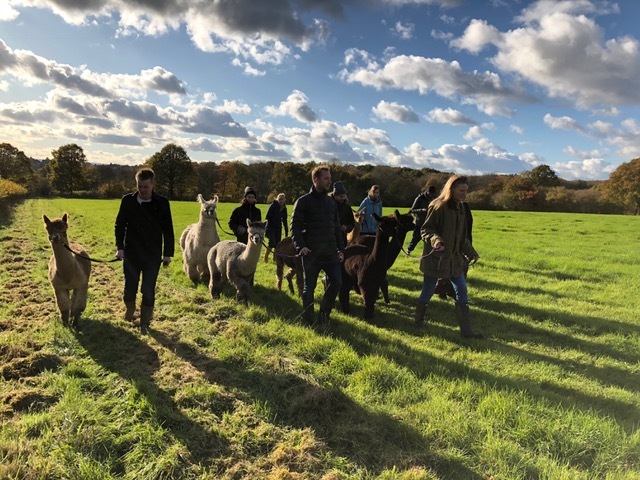 Please note: IF YOU BOOK TO WALK ALPACAS AND YOU WISH TO BOOK FRIENDS TO ACCOMPANY – THE NUMBER ACCOMPANYING CANNOT EXCEED THE NUMBER WALKING ALPACAS. If you have a voucher then this can be used at checkout – please bring with you on the day. Every voucher (or eVoucher) has a unique number which you should use as payment at checkout. The minimum number of walking alpacas on any day must be two as they are herd animals. If you are booking a single walk and no others book for the same time slot we may contact you to re-arrange the date. Children must be over 12 years old to walk an alpaca on their own, although children aged 8 to 12 may accompany the walk providing that each child is accompanied by an adult. PLEASE NOTE this is to comply with our insurance. Walks start from the farm yard at midday promptly. We ask that you arrive ten minutes beforehand so we can be good to go at midday. If you arrive earlier than 11:50am, we would suggest visiting Trading Boundaries at the end of our road for coffee/tea as we are working right up to 11:50am most days! Sadly, guests arriving after midday cannot join the walk and their booking is therefore cancelled so as not to inconvenience the other groups walking that day. If you think you might be late please make sure you speak to us by phone (house or mobile) in advance of midday and we will do our best to defer the start of the walk for a short while. Our farm is on clay so sensible footwear is a must (wellies in the Winter, walking boots or trainers in summer) and we strongly recommend long trousers.. Clothing should be appropriate for the conditions but please avoid really bright colours or anything that might flap (we will ask you to tuck it in if it does). Alpacas are like us and won’t be happy to walk in bad weather. If the weather forecast looks bad, we will endeavour to let you know the evening before (via email/text or call – or feel free to contact us) that there is a risk of cancellation. We will make a final decision on the morning of the day in question and again contact you via email/text or call. If we do cancel a walk, we will issue you with an eVoucher for the same value as your booked walk so you can rebook at your leisure (there is no expiry date to the eVoucher) subject to availability. We need at least 48 hours notice if you cancel a walk as it is unlikely we can fill the places on that walk. If we have less than 48 hours or a “no show”, unfortunately your booking is forfeit. Vouchers (and eVouchers) are available (and gift cards) – please contact us for details. 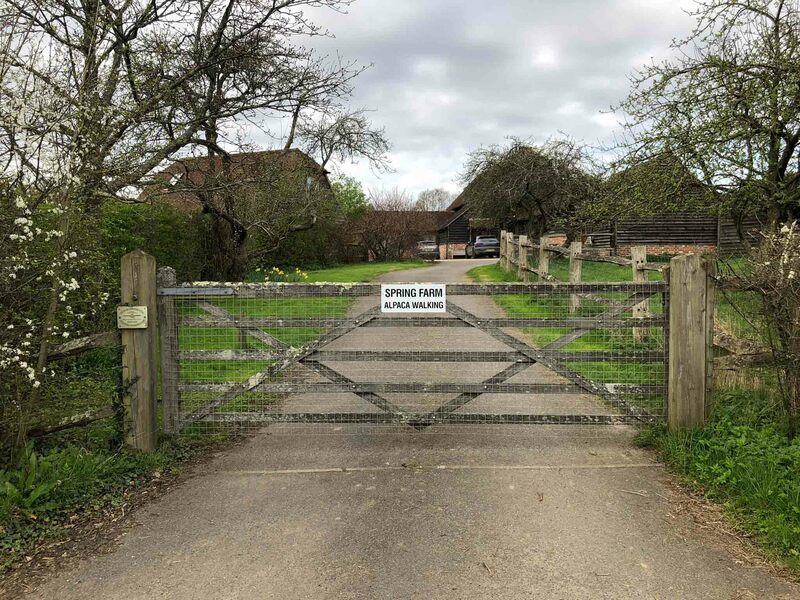 Spring Farm is conveniently situated in mid Sussex but convenient for Surrey, Kent and the South East of England. We are a short taxi drive (15 minutes) away from our local station at Haywards Heath. Haywards Heath station is approximately 45 minutes from London Victoria/London Bridge making a walk with alpacas an easy option for a day out from London or even Gatwick airport (30 minutes away by car)! There is lots more to do within easy reach of us and we are happy to recommend local pubs, eateries and attractions – so why not make visiting us part of an amazing day or weekend. You might even consider staying at our holiday let: “The Lodge”. Just bear in mind it must be booked for a minimum of a week!